Being concerned with the way that we look is perfectly normal. In fact, an increasing number of people are turning to cosmetic solutions to improve the aspect of their appearance that they like the least. Dental cosmetic solutions are no exception. Teeth are often one of the first things that people would most like to change about the way that they look. Afterall, a smile is a central feature of the face, and virtually impossible to hide, unless you are prepared to stop drinking, eating and even speaking in public. Unfortunately, this is actually something that some people who are severely unhappy with their smile are prepared to do, and they go out of their way to avoid personal and professional contact with those around them, as a way to avoid showing their teeth. This is because concerns over appearance can have a profoundly psychological effect, negatively impacting the patient’s confidence and self-worth and even affecting their ability to function day to day. Porcelain veneers provide a solution for a many of these problems, transforming the way that your teeth look and improving your appearance. Porcelain veneers are extremely thin, tooth-shaped coverings. Each set of veneers is created specifically for the patient, ensuring that each individual veneer is the right shape and size to cover each tooth. They can also be created in varying shades of whiteness, making them a popular alternative to tooth whitening. The veneers are bonded to the outer enamel of the natural tooth, and then filed and polished to create a sleek and uniform appearance. 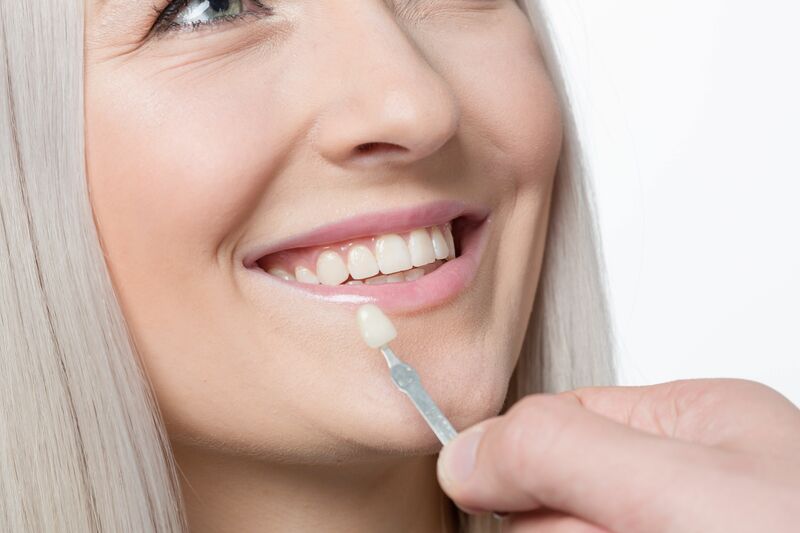 Porcelain veneers are purely a cosmetic solution, as they serve only to improve the appearance of the teeth, and have very little functional benefit. That said, they are also a very popular solution for smile makeovers as they can improve a person’s smile relatively easily. Color choice. Your veneers can be created in your desired shade, meaning that a brighter, whiter and healthier-looking smile can be achieved. Stain resistant. Porcelain veneers are extremely stain resistant, making it easier to keep your smile white for longer. Mask damage and discoloration. Veneers sit over the top of the natural enamel, hiding any cracks, chips, discoloration or other damage visible on the front of the tooth. Closing the gap. Veneers can be designed so that they close any unsightly gaps between your teeth. Strong. Veneers can help to strengthen the natural enamel of your teeth, making them less likely to fracture or chip. Whatever your reason for disliking your smile, porcelain veneers can improve your appearance and your confidence. To find out more about how porcelain veneers can help you achieve the smile that you deserve, make an appointment with a board-certified cosmetic dentist today.